• Week 14 was one of the more entertaining weeks in recent memory. 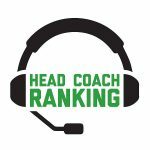 Week 14 also showed us that even the very best head coaches make mistakes. 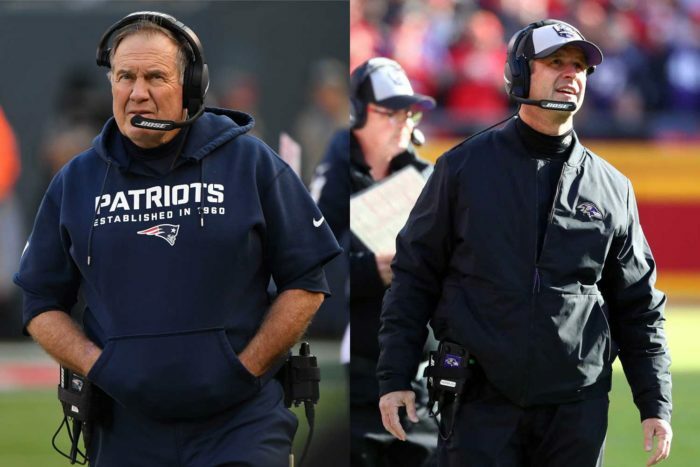 Baltimore Ravens head coach John Harbaugh and New England Patriots head coach Bill Belichick are among the very best head coaches in the game — the consensus is that Belichick is THE best. However, the intellectual challenge of managing an NFL game to a victory — particularly on the road — is much more difficult than the average fan might think. In week 14, Harbaugh and Belichick had their teams in a strong position to win road games and further their playoff hopes. Instead, both came away with demoralizing losses and, certainly, questions about their decision-making. Harbaugh must be terribly disappointed. The Ravens played an excellent game for the most part against the Chiefs in Kansas City, and were on the verge of winning. Then the Chiefs converted two fourth-down plays in spectacular fashion, and followed that up with a strip-sack on defense. That sequence may decide the Ravens’ playoff chances. • We noted last week that the Kansas City Chiefs’ offense is not the same without running back Kareem Hunt. After their second game without Hunt, this clearly is a trend that bears watching. Now, the Chiefs were playing against a top-shelf defense in the Baltimore Ravens, however, they simply do not appear as explosive. • While neither the Jets nor the Bills are going anywhere this season, we see hope in the talent of their two rookie quarterbacks, Sam Darnold and Josh Allen. Darnold is a resilient and savvy gamer, while Allen is an athletic specimen. We have no doubts that both will be much improved in 2019. The only wild card will be the changes that are likely to come to their coaching staffs. • The Atlanta Falcons are in a downward freefall, and it is very evident that they will need to evolve their team into a much more multifaceted squad for 2019. The Falcons are loaded with outstanding athletes, many of whom are injured and out for the season, but they also lack size and physicality at a number of key positions. The organization has opted for speed over size, and that will be a philosophical decision that will, or should, be revisited during the offseason. • Chiefs quarterback Pat Mahomes possibly has the league MVP locked up, but we submit that Indianapolis Colts quarterback Andrew Luck should receive serious consideration as well. His play, along with the play of wide receiver T.Y. Hilton, was spectacular, and the Colts young defensive unit will be one to watch for the balance of this season and into 2019. • The New Orleans Saints’ victory over Tampa Bay wasn’t pretty, but this squad looks like an NFC title contender, for sure. It is a serious-minded team that is secure in its ability, even when things are not going well. The entire squad has a playmaking mindset, and it was a blocked punt by a backup quarterback that got them going in this game. That’s unusual, but it shows just how competitive this squad is. • The Los Angeles Chargers tallied another victory, beating the Bengals, but the performance was uneven at best. We noticed that third-down running back Austin Ekeler was dinged near the end of the game, so this bears watching, particularly since starting running back Melvin Gordon still is on the shelf. • Dallas Cowboys quarterback Dak Prescott may have had a good day statistically, but he did not play well in Sunday’s overtime win over the Eagles. He played tight during most of this game, though he did rally to make a few big plays down the stretch. Cowboys running back Ezekiel Elliott clearly is the engine of this offense, and when he had to leave this game for a time with a suspected injury, the Cowboys offense struggled.